I started playing the piano at the age of 3. Even at that age, I was able to pick out tunes and nursery rhymes, playing melodies with my Dad. My grandfather from Tyneside, was an amazing pianist, who was asked to go & study at Juillard School in America, but sadly didn’t have the funding to do it. I first heard Sergei Rachmaninoff, the movement of his 2nd piano concerto (which is included in the film ‘Brief Encounter’) when I was about 13. I remember standing there thinking ‘wow’ how did write such a beautiful piece of music. He inspired me to practice more and more, until I was playing 4 hours a day. I entered my first local music festive competition, aged 13, in the ‘open class’ competing against accomplished pianists, aged 20-50. The piece I performed was Prelude in C Sharp Minor by Rachmaninoff. To my delight and the amazement of many, I won. From here, I was determined to master a technically difficult piece; Chopin’s ‘Fantasie Impromptu’ – it took me a year, but I did it and it become a regular ‘competition winning’ piece over the next couple of years. During my time at secondary school I had a very supportive Head Teacher where my passion continued to grow. At 6th form college I studied History and Music and was given the opportunity to write the music for the annual pantomime. Ultimately I landed a place at, and graduated from, the Royal Academy of Music, London. Since then I have had a diverse and distinguished career, teaching and performing in numerous locations, including London, and the Middle East, where I performed as a soloist on many occasions for esteemed guests such as the Qatari Royal Family. I then moved on to Hong Kong where I played at many prestigious venues throughout the city including Government House, performing for the last Governor, Lord Patten. I also lived in Vietnam for two years, and worked with many advertising agencies including J.Walter Thompson. It was here that I started composing and producing short piano pieces which gradually turned into my first CD, ‘Past/Present‘. Many of these compositions are featured on the Music page. I offer a wide range of music from Contemporary to Classical. Please see the Music Page for examples of my work and repertoire. Typically my minimum performance time is 1 hour. Each booking is bespoke, especially weddings where I may play at intervals across the whole day. A maximum single session is 2 hours at which stage I require a 20 minute break. I will travel anywhere in the UK subject to travel expenses. The first 30 miles are included. Anything over this will be charged at an additional 45p per mile. 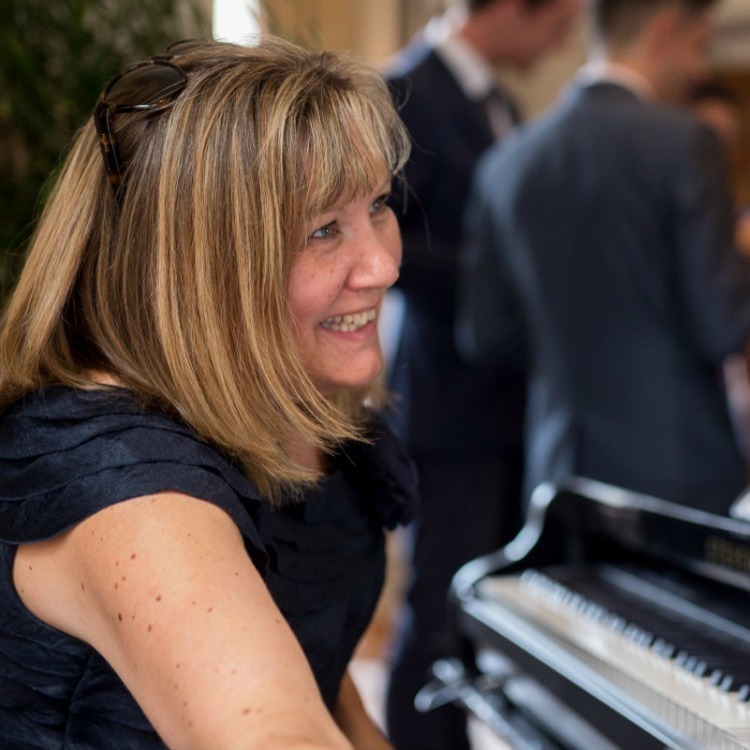 Do You Play At Civil Ceremonies? Yes. Most of my weddings are civil ceremonies taking place at bespoke wedding venues and hotels. Can You Play In A Church? Yes. I bring my own portable grand piano. I just require a space of approximately 12ft square, with access to a power socket. The Venue Does Not Have A Piano – Can You Provide One? Yes. I have my own stage piano, grand piano shell, amplifier and stool. Do You Sing As Well As Play The Piano? No. I make the piano sing as I play! Do You Take Requests On The Day? Yes, as long as it is part of my substantial repertoire (click to view). What Insurance Cover To You Have? I have Public Liability Insurance to the value of £2m. Currently my equipment is under 1 year old, therefore doesn’t require PAT testing. This will be arranged when required. Documentation can be provided on request.